Description: A Caribbean influenced palette evokes visions of palm trees waving from sandy beaches under blue skies at sunset. Sink your toes into its smooth pebble texture for a magical experience. Available in 43 colors, including six with an original "black wrap" accent. 100% Dupont Stainmaster® Grand LuxuraÔ fibers. 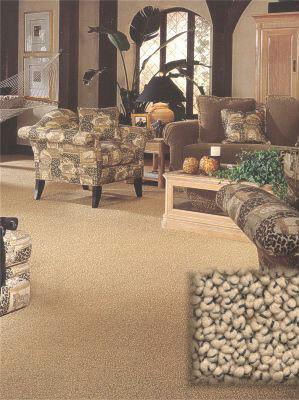 Reggae is available in both Masland's broadloom and area rug programs. Available in Residential Broadloom and Area Rug Program.